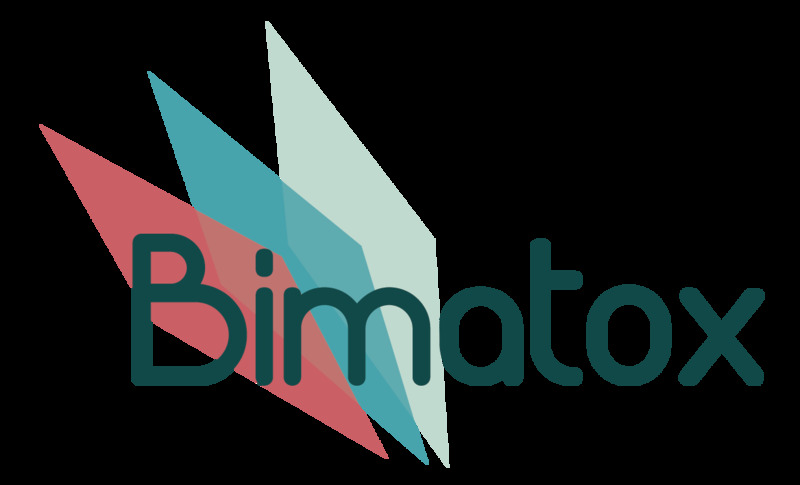 BiMaTox consist of an aptazyme that is contained in a cell-free cellulose matrix device. The aptazyme, as it was said previously in the overview, is composed by the aptamer and the DNAzyme, but to bind both parts a linker sequence is needed. 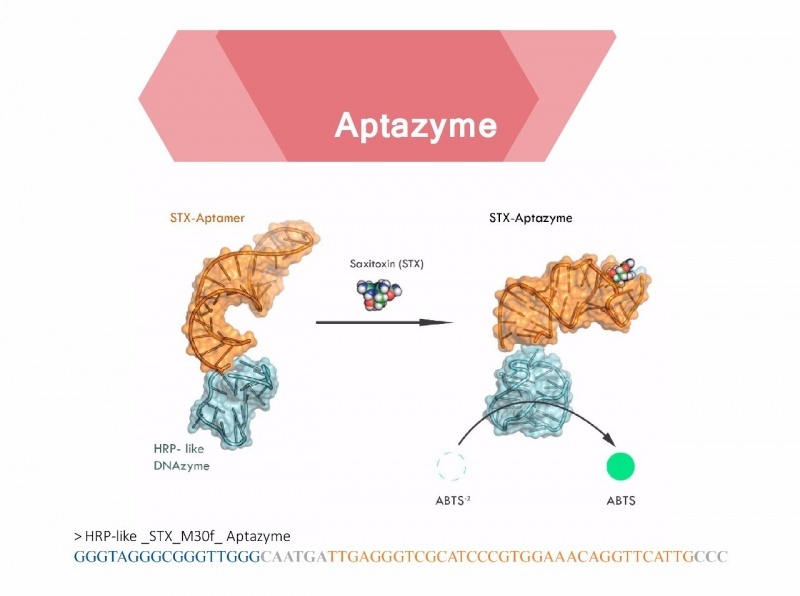 It is important to mention that the aptazyme is a ssDNA molecule. There are many types of DNAzyme, the one we chose is a sequence previously described and used in diverse systems with a described and proven activity that is supported by the literature. The sequence that we used is known as G-Cuadruplex. This sequence has two functions it works at the same time as NADH oxidasa and also it posses peroxidase activity that mimics the one found in horse radish. The reaction causes the oxidation of ABTS molecule which generates a change colour showing green. This only happens if there is enough concentration of STX in the solution. We used an Aptamer previously described by a group of scientist in the year 2015. The group lead by X. Zheng improved an existing aptamer that could bind to STX via SELEX and finally obtained a variety of this sequence that they called M30-f, in our project we based our molecular construct in this aptamer. The linker is a fundamental part because as it binds specific zones of the Aptazyme it acts as a kidnapper of the catalytic zone of the molecule. 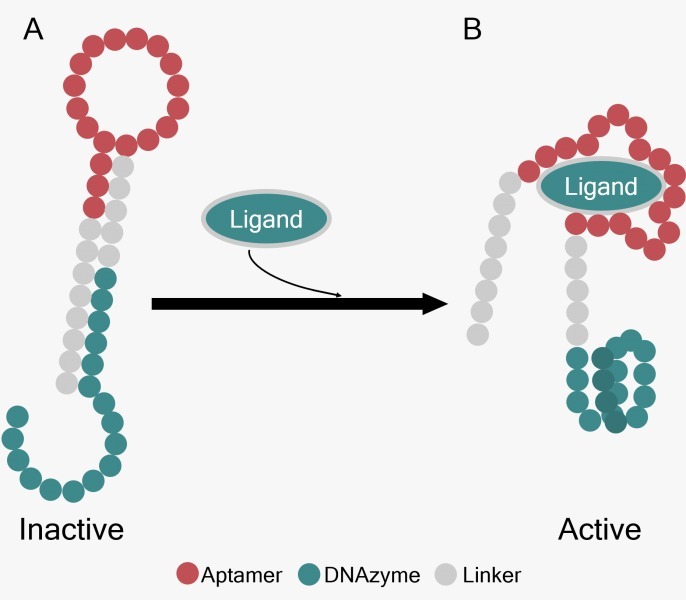 When the aptamer is not interacting with the ligand, the linker is kidnapping the DNAzyme, altering the conformation of the DNAzyme. Then as the aptamer interacts with the ligand, a conformational change takes place in the molecule, this conformational change promotes the movement of the linker from the original place, and in consequence, the DNAzyme is released; only when this occurs the DNAzyme can take the catalytic conformation and can catalyze the reaction. This way the aptazyme that we obtain can bind itself to STX, provoking the conformational change aforementioned that is finally seen as a change of color in the sample! !